A crew of local people and not so local. Well, at least, we all have some connection with Tafarn Sinc. And a distinct vision to keep the place open and prosperous. 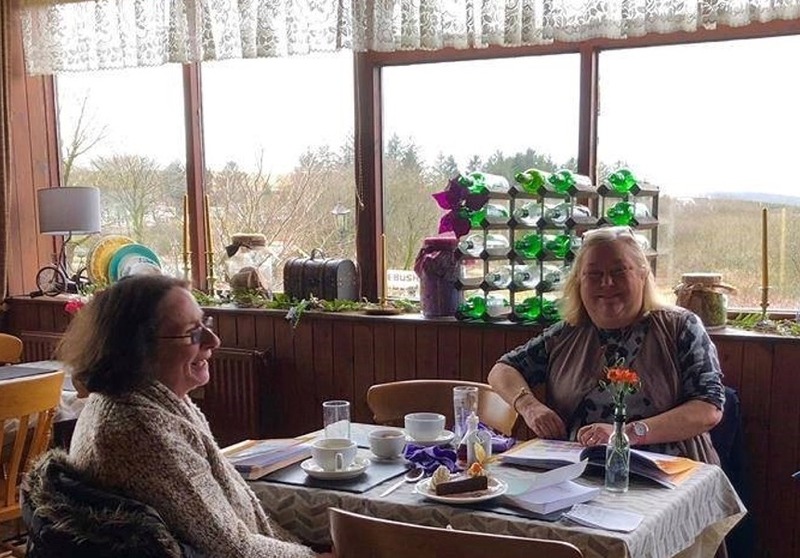 We call ourselves the directors of Cymdeithas Tafarn Sinc which has been registered as a charity and is regarded as a community benefit society. We are enthusiastic volunteers with assorted skills giving of our time voluntary to ensure a flourishing future for the iconic pub. We are very much aware of our obligations to all our shareholders and lenders to apply their money appropriately to enhance the trading and community benefit of our venture. The remarkable story began during the summer of 2017 when it became obvious no-one would buy the pub and a general feeling it would be a pity if the doors were to be closed forever. Public meetings were held organised by PLANED and Clebran, the community newspaper. 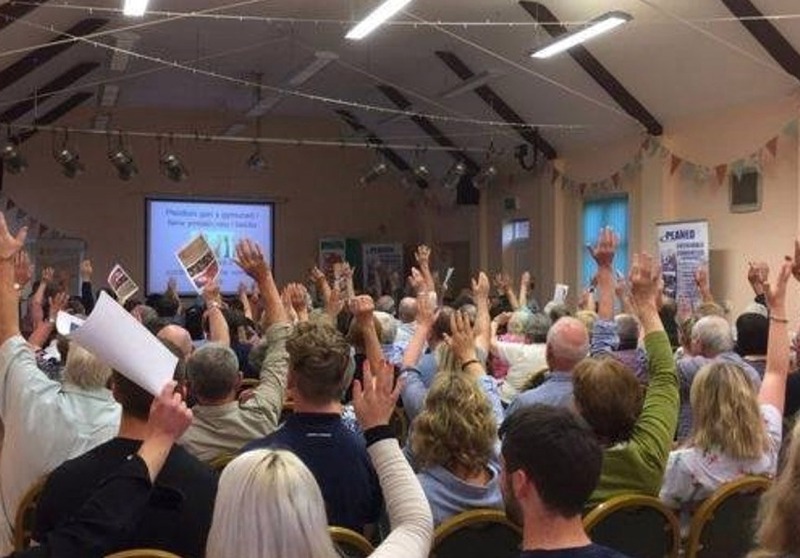 The unanimous decision at a full hall in Maenclochog was to raise the necessary money as a community to buy the pub. This was done within four months. A manager and a chef were appointed along with serving staff. The remarkable story is chronicled below. We must thank the eminent film and stage actor, Rhys Ifans, who was born in Haverfordwest, for our success in buying Tafarn Sinc in the name of the community. His support for the share selling campaign and the publicity derived as a result was invaluable. He recorded a video for us when he was filming in Berlin. Similarly other well-known public figures such as Huw Edwards, Jamie Owen, Dewi Pws, Dafydd Hywel and Mari Grug gave their support. And what was astonishing was the fact that shares were bought by individuals from all over the world. There was Doug Hansen who came over all the way from Texas just to see what exactly he part owned with his £200. Similarly Mark and Jan Bigland-Pritchard from Saskatchewan. They came over on vacation intending to stay for a week but stayed for three weeks. They were alerted to the plight of Tafarn Sinc by an item on their local radio station in Canada. There was a buzz in the air following a full to capacity public meeting at Neuadd Maenclochog on July 12 2017 when an unanimous decision was made to buy Tafarn Sinc in the name of the community. Over £7,000 was raised that evening. 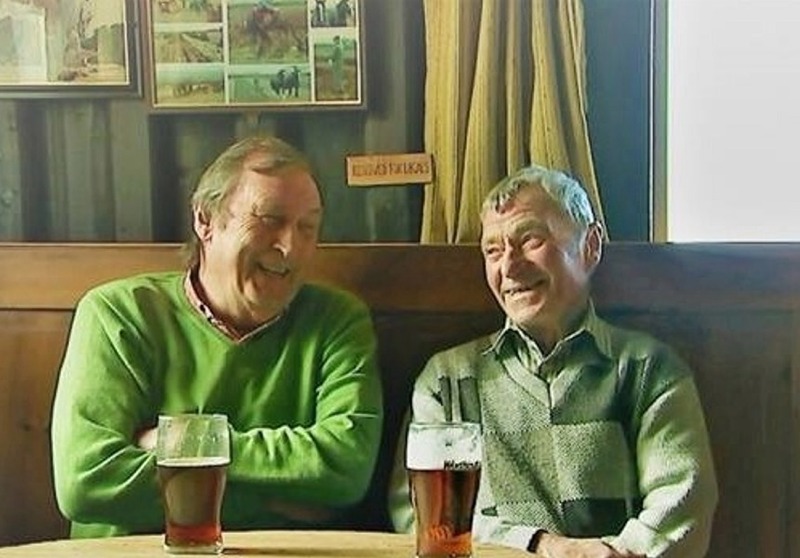 Among the first to buy a share was the actor, Dafydd Hywel, a frequent visitor to the village, and his mate, Ryan John, who has spread and brushed the sawdust on the pub floor for a quarter of a century. Shares were sold for £200 each with every individual allowed to buy a maximum of £20,000 worth of shares. A Peer to Peer lending scheme was introduced allowing the investment of larger sums of money. Around £400,000 was raised. The property was bought by the end of November with some working capital to allow maintenance work to be done. Shares are still available to be bought to aid with further updating and maintenance work. Within a short four months of trading we were nominated in the Breakthrough Category of the annual Cooperative Society Awards. That in itself was an accolade. We must thank Brian Llewelyn and his family for the foundations given to the unique destination and it is our privilege as Cymdeithas Tafarn Sinc to further develop Tafarn Sinc as a pub, a restaurant and a bastion of Welshness. 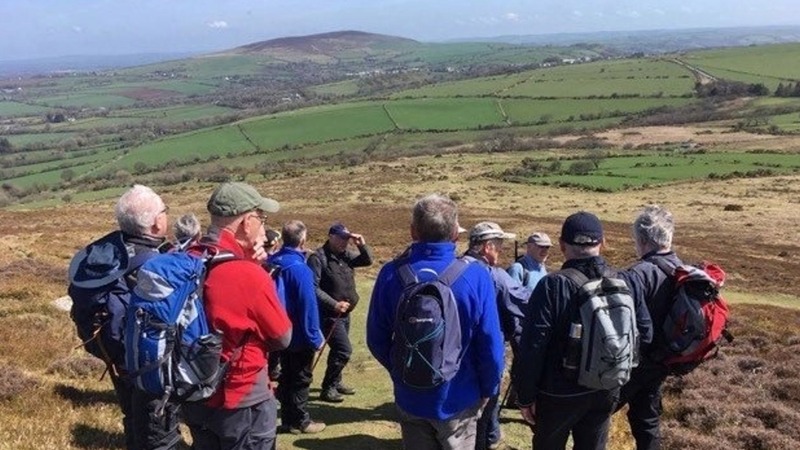 Already the villagers hold regular events, eager Welsh learners gravitate to the pub and friends meet to share their stories. No doubt Rhys Ifans will call in again as he regularly did in the past.